Feb 23, 2015 . . .
As an Iranian, I get asked all sorts of questions about my home country. Most Westerners know nothing about Iran and assume all countries in the Middle East are the same, with hot temperatures and desert climates. So people are often surprised when I tell them that Iran does in fact experience winter. They are even more shocked when I tell them that it snows, depending on where you are, and that Iran boasts several international ski resorts. When it comes to climatic diversity, tourists searching for winter sun can certainly turn to Iran for inspiration. During the summer, certain parts of Iran, especially in the south, reach temperatures of more than 100°F. But in winter, places like Chabahar and Bandar Abbas have temperatures averaging between 70°F and 82°F, which means it is often warm enough to swim in the Persian Gulf in the middle of winter. But elsewhere, December and January means winter. In Tehran, the average temperature is 37 to 43°F. Outside of the capital, winter temperatures often fall below freezing, especially in the mountainous areas, where it regularly snows. Although spring and autumn in northwest Iran are relatively mild and summers are dry and hot, for those interested in cold weather, the winters in the region are ideal, with heavy snowfall and below freezing temperatures during December and January. Alborz and Zagros, which extend to the north and the west of the country, are two of the highest ranges. As one of the most mountainous countries in the world, Iran has potential appeal for tourists — particularly for skiers and snowboarders. Globally, tourism is one of the world’s largest and fastest growing industries, providing substantial revenue for countries on both national and local levels. And winter tourism is an integral part of this economy boost, creating a range of business opportunities for the 70 countries that offer either indoor or outdoor skiing. Although Iran boasts 26 ski resorts, only six of them meet international standards when it comes to modernisation and suitability for competitions, as set out by the International Ski Federation. The majority of them were built during the reign of the Shah, between the 1950s and the 1970s. 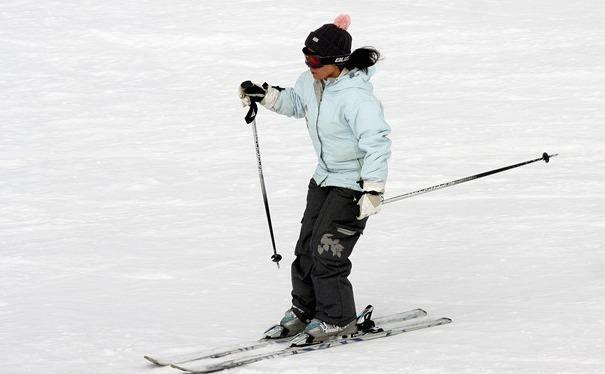 Skiing is one of the few sporting activities available in Iran where women and men can escape the country’s extensive gender segregation policies and other restrictions. When I lived in Tehran, I used to ski with my brothers and groups of friends regularly, one of the few activities we could do together in public. And the slopes are just a short drive away: four of the main resorts — Dizin, Shemshak, Ab Ali and Tochal — are close to Tehran. Dizin, north of Tehran, is the largest resort in Iran — and the Middle East. It opened in 1969 and is ranked among the world’s 40 highest ski resorts. The resort has two hotels, several cottages for rent, as well as villas and private apartments. The price of a daily ski pass is approximately $25, with the resort usually open between November and May, depending on snowfall. The Tochal recreation complex is the 13th highest ski resort in the world, and is connected to Tehran by a seven-section gondola lift. A modern hotel has been constructed at its peak. Using The Tochal resorts’ facilities cost just $12 a day. Ab Ali was built in 1953 near Tehran. The resort had the first ski slope equipped with mechanical ski lifts in Iran, and is mainly used by beginners. There are several ski resorts and peaks extending above 3,000 meters in the northwest of the country, including Alvares and Sahand. Iran has huge potential to attract international winter tourists from Middle Eastern countries, most of which are deserts. The total number of skiers using Iran’s slopes is about the same as Iran’s neighbor,Turkey. But, whereas in Turkey 15 percent of all skiers are foreigners, in Iran, foreigners constitute just 0.01 percent of skiers. Turkey has improved ski facilities across the country and promoted its tourism industry for decades, and does well out of winter and summer tourists alike. Iranian tour operators offer ski trips to Turkey, which is increasingly popular with Iranian tourists. Iran has been more or less isolated since the Islamic revolution of 1979, and, with the exception of a few tour groups, the country does not have many international visitors.The situation worsened under Mahmoud Ahmadinejad, whose eight-year presidency further soured already fragile relations between Iran and much of the international community. During this period, the number of international tourists dropped dramatically. Although international sanctions against Iran do not have a direct impact on the tourism industry because they only target industries that could contribute to the production of nuclear weapons, studies on the link between tourism and politics suggest that the more isolated a country is, the less likely it is to benefit from tourism. Sanctions against Iran have had a negative impact on the country’s image, acting as a serious disadvantage when attracting tourists. When Hassan Rouhani was elected president in 2013, he pledged to open up the country to the rest of the world and restore international relations, thereby boosting the country’s much-neglected tourist industry. Despite these promises, little has been done to improve Iranian ski resorts, which are in need of new investment and updating. Most of the resorts have old equipment dating back to the 1970s. As part of this, an efficient management structure would need to be put in place, making it possible for new equipment and facilities, the building of more and better accommodation, and improving public transportation and the roads that link to the ski resorts. And, although skiing is one of the few sports in the country that allows more freedom in public, conservative ranks lash out against resorts from time to time. Many want to introduce more limitations on skiers and resorts. Hardliner paper Tasnim News recently criticised the ease with which young couples can use ski resorts as a venue for dating and spend unmonitored time together. The report also claimed that some skiers used illegal drugs when on the slopes. And, in early February, authorities ordered the closure of Shemshak’s Night Ski session on grounds of immorality. After photographs of the launch party were published on social media, judicial authorities announced that the night resort would no longer be accessible to the public. Iran clearly has a lot to offer: tourists could potentially swim and ski outdoors during a single trip. But because of its restrictions — from mandatory hejabs for women and gender segregation to alcohol being banned — the country’s tourist industry is limited. Even though ski resorts are relatively freer places than other tourist destinations, recent clampdowns like the one at Shemshak suggest that whatever freedoms it does offer are at risk of being diminished. Iran’s economy is under serious pressure because of international sanctions and falling oil prices. Tourism would be a new hope for Iran, a chance to boost its economy. President Rouhani’s administration should take this on board and work hard to improve Iran’s image on the international stage. But re-branding takes time, and especially if it is the rebranding of an entire country. It could take years, but it is an initiative that is worth pursuing, for Iranians and the international community alike.